These rules consist of how ki will be used and gained in DragonBall Online. 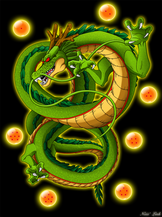 Ki is ones life force energy and is used in almost all actions in the DragonBall Universe. Ki in DragonBall Online is used in a pool system, meaning it may start at 200, but every time a player uses Ki it is drawn from the total until none is left. Running out of Ki results in a player becoming unconscious and vulnerable to the world around them. Using a negative amount of Ki will kill a player, so keep an eye on your reservoir. Gaining: Training or fighting allows a player to increase the capacity of their ki reservoir. For every 500 words in a thread consisting of mostly training or fighting a player receives an increase of 50 to their overall ki. All players ki is capped at 500,000.